Whew, your taxes are filed and now it’s time to CELEBRATE! 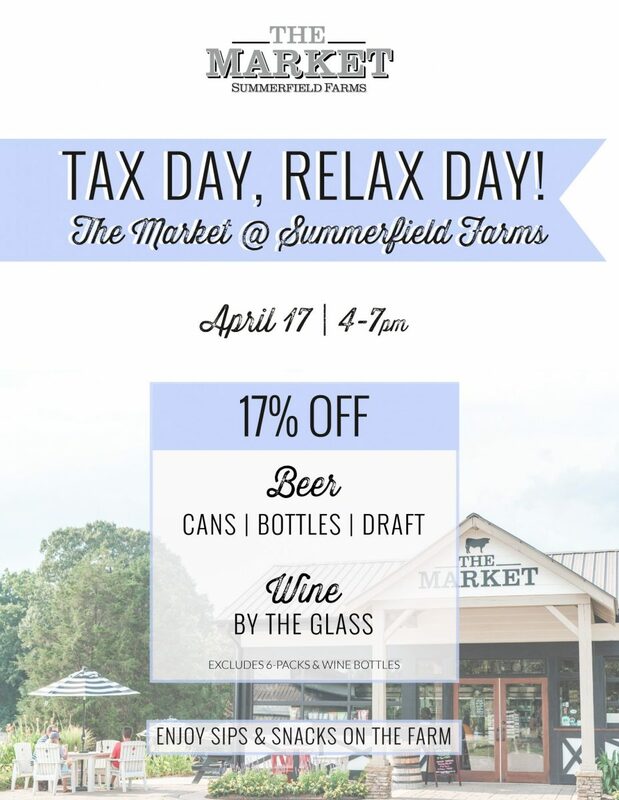 Sip on your favorite brew or wine while you relax on our Carolina countryside farm. 17% off wine (by the glass) and beer (cans, bottles, and draft). Tell your friends and come join us!